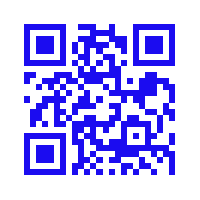 The http://joyiman.blogspot.com Web Site (the "Site") is an online information service provided by joyiman ("http://joyiman.blogspot.com "), subject to your compliance with the terms and conditions set forth below. PLEASE READ THIS DOCUMENT CAREFULLY BEFORE ACCESSING OR USING THE SITE. BY ACCESSING OR USING THE SITE, YOU AGREE TO BE BOUND BY THE TERMS AND CONDITIONS SET FORTH BELOW. IF YOU DO NOT WISH TO BE BOUND BY THESE TERMS AND CONDITIONS, YOU MAY NOT ACCESS OR USE THE SITE. http://joyiman.blogspot.com MAY MODIFY THIS AGREEMENT AT ANY TIME, AND SUCH MODIFICATIONS SHALL BE EFFECTIVE IMMEDIATELY UPON POSTING OF THE MODIFIED AGREEMENT ON THE SITE. YOU AGREE TO REVIEW THE AGREEMENT PERIODICALLY TO BE AWARE OF SUCH MODIFICATIONS AND YOUR CONTINUED ACCESS OR USE OF THE SITE SHALL BE DEEMED YOUR CONCLUSIVE ACCEPTANCE OF THE MODIFIED AGREEMENT. 1. Copyright, Licenses and Idea Submissions. The entire contents of the Site are protected by international copyright and trademark laws. The owner of the copyrights and trademarks are http://joyiman.blogspot.com, its affiliates or other third party licensors. YOU MAY NOT MODIFY, COPY, REPRODUCE, REPUBLISH, UPLOAD, POST, TRANSMIT, OR DISTRIBUTE, IN ANY MANNER, THE MATERIAL ON THE SITE, INCLUDING TEXT, GRAPHICS, CODE AND/OR SOFTWARE. You may print and download portions of material from the different areas of the Site solely for your own non-commercial use provided that you agree not to change or delete any copyright or proprietary notices from the materials. You agree to grant to http://joyiman.blogspot.com a non-exclusive, royalty-free, worldwide, perpetual license, with the right to sub-license, to reproduce, distribute, transmit, create derivative works of, publicly display and publicly perform any materials and other information (including, without limitation, ideas contained therein for new or improved products and services) you submit to any public areas of the Site (such as bulletin boards, forums and newsgroups) or by e-mail to http://joyiman.blogspot.com by all means and in any media now known or hereafter developed. You also grant to http://joyiman.blogspot.com the right to use your name in connection with the submitted materials and other information as well as in connection with all advertising, marketing and promotional material related thereto. You agree that you shall have no recourse against http://joyiman.blogspot.com for any alleged or actual infringement or misappropriation of any proprietary right in your communications to http://joyiman.blogspot.com. TrafficServer 1.01 TRADEMARKS. Publications, products, content or services referenced herein or on the Site are the exclusive trademarks or servicemarks of http://joyiman.blogspot.com. Other product and company names mentioned in the Site may be the trademarks of their respective owners. You understand that, except for information, products or services clearly identified as being supplied by http://joyiman.blogspot.com, http://joyiman.blogspot.comdoes not operate, control or endorse any information, products or services on the Internet in any way. Except for http://joyiman.blogspot.com- identified information, products or services, all information, products and services offered through the Site or on the Internet generally are offered by third parties, that are not affiliated with http://joyiman.blogspot.com a. You also understand that http://joyiman.blogspot.com cannot and does not guarantee or warrant that files available for downloading through the Site will be free of infection or viruses, worms, Trojan horses or other code that manifest contaminating or destructive properties. You are responsible for implementing sufficient procedures and checkpoints to satisfy your particular requirements for accuracy of data input and output, and for maintaining a means external to the Site for the reconstruction of any lost data. You agree to indemnify, defend and hold harmless http://joyiman.blogspot.com, its officers, directors, employees, agents, licensors, suppliers and any third party information providers to the Service from and against all losses, expenses, damages and costs, including reasonable attorneys' fees, resulting from any violation of this Agreement (including negligent or wrongful conduct) by you or any other person accessing the Service. The provisions of paragraphs 2 (Use of the Service), and 3 (Indemnification) are for the benefit of http://joyiman.blogspot.com and its officers, directors, employees, agents, licensors, suppliers, and any third party information providers to the Service. Each of these individuals or entities shall have the right to assert and enforce those provisions directly against you on its own behalf. 5.Term; Termination. This Agreement shall all be governed and construed in accordance with the laws of Malaysia applicable to agreements made and to be performed in Malaysia. You agree that any legal action or proceeding between http://joyiman.blogspot.com and you for any purpose concerning this Agreement or the parties' obligations hereunder shall be brought exclusively in a federal or state court of competent jurisdiction sitting in Malaysia . Any cause of action or claim you may have with respect to the Service must be commenced within one (1) year after the claim or cause of action arises or such claim or cause of action is barred. http://joyiman.blogspot.com's failure to insist upon or enforce strict performance of any provision of this Agreement shall not be construed as a waiver of any provision or right. Neither the course of conduct between the parties nor trade practice shall act to modify any provision of this Agreement. http://joyiman.blogspot.com may assign its rights and duties under this Agreement to any party at any time without notice to you. COPYRIGHT NOTICE.© 1999-2015 PriorityDigital.com Prepared for: http://joyiman.blogspot.com ,All rights reserved. Like many other Web sites, http://joyiman.blogspot.com/ makes use of log files. These files merely logs visitors to the site - usually a standard procedure for hosting companies and a part of hosting services's analytics. The information inside the log files includes internet protocol (IP) addresses, browser type, Internet Service Provider (ISP), date/time stamp, referring/exit pages, and possibly the number of clicks. This information is used to analyze trends, administer the site, track user's movement around the site, and gather demographic information. IP addresses, and other such information are not linked to any information that is personally identifiable. → Google's use of the DART cookie enables it to serve ads to our site's visitors based upon their visit to http://joyiman.blogspot.com/ and other sites on the Internet. http://joyiman.blogspot.com/ has no access to or control over these cookies that are used by third-party advertisers. We believe it is important to provide added protection for children online. We encourage parents and guardians to spend time online with their children to observe, participate in and/or monitor and guide their online activity. http://joyiman.blogspot.com/ does not knowingly collect any personally identifiable information from children under the age of 13. If a parent or guardian believes that http://joyiman.blogspot.com/ has in its database the personally-identifiable information of a child under the age of 13, please contact us immediately (using the contact in the first paragraph) and we will use our best efforts to promptly remove such information from our records. As' salam kepada sahabat blogger dan Selamat tahun baru 2014 juga diucapkan. Sekarang ini kebanyakan pemandu teksi menggunakan aplkasi teksi untuk menerima tempahan pengguna teksi. Smartphones yang digunakan memerlukan akses Internet, ini menjadikan pemandu teksi pengguna Internet tegar dari berbagai syarikat telco. Tahun 2014 ini adalah tahun mencabar bagi setiap pemandu teksi yang memperolehi pendapatan sederhana. Jika ada peluang hebat untuk membantu menambahkan pendapatan sampingan pasti kita pemandu teksi akan gembira. 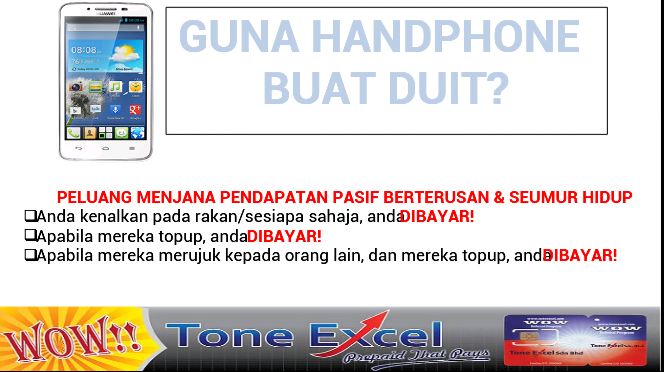 Pengguna handphone apakah modal yang harus kita bayar ? Kesemua perkara di atas akan dilakukan oleh kita, tidak kiralah untuk aktiviti komersial ataupun kebajikan. Apa yang penting kita perlu megeluarkan wang untuk membayarnya. Aku ingin berkongsi pengalaman aku sepanjang mengunakan Tune Talk ToneExcel untuk akses Internet kerana menggunakan aplikasi teksi. 1) Perlindungan Insuran Kemalangan secara PERCUMA sebanyak RM 100,000. 2) Corporate Rate sehingga 30% penginapan di Tune Hotel. 3) Menjana pendapatan berpencen dan boleh diwarisi kepada anak dan isteri. 5) Komisen RM 20 setiap tajaan. Jika kita ingin menjadi seorang pengguna yang bijak, jadikan setiap nilai wang yang dikeluarkan memberi implikasi yang baik kepada ekonomi kita. Barulah dinamakan JIMAT dan DAPAT. Menjadi pengguna Toneexcel kita akan mendapat point setiap apa yang kita belanja setiap bulan. Dari point ini kita boleh menuntut tiket penerbangan Air Asia atau boleh membuat pilihan lain, memilih smart phone terkini dengan syarat dan terma yang telah ditentukan. Kita boleh mengekalkan nombor lama atau bertukar kepada nombor baru. Tiada masalah untuk dilakukan walau dari mana syarikat telko yang kita langgan sekarang. 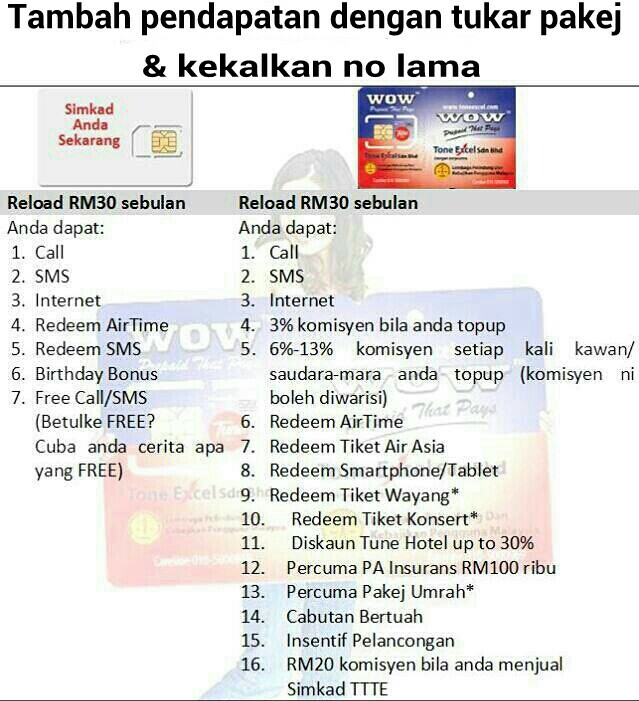 Mudah untuk melakukan topup kerana kita boleh lakukan di mana sahaja seluruh Malaysia seperti mana yang kita lakukan sekarang. PENYEBARAN maklumat berantai semakin menjadi-jadi bukan sahaja melalui e-mel malah rangkaian media sosial seperti Facebook dan Whatsapp. Penyebaran maklumat berantai di Malaysia bukanlah satu fenomena baru. Sebelum kehadiran Internet, surat berantai disebarkan di merata tempat termasuk di tempat-tempat awam, kawasan perumahan serta masjid. 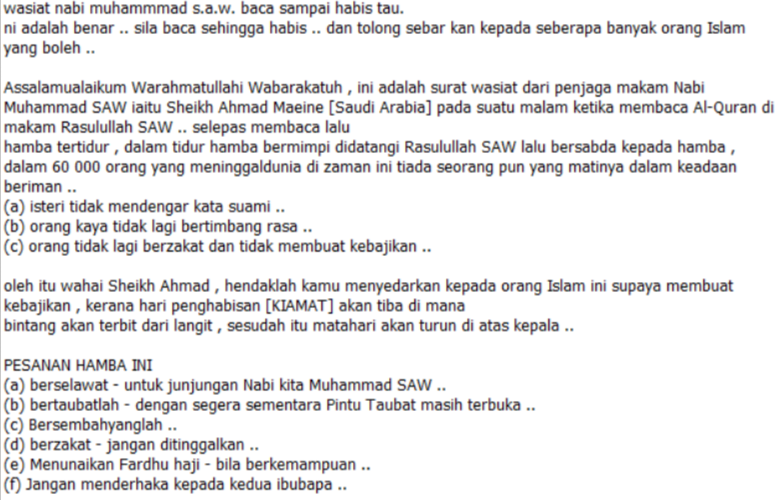 Kisah surat berantai mengenai wasiat untuk umat Islam daripada penjaga makam Nabi Muhammad SAW iaitu Sheikh Ahmad merupakan antara surat berantai yang paling popular dan masih disebarkan sehingga ke hari ini, meskipun Majlis Fatwa Kebangsaan 1978 telah mengesahkan surat ini ditulis oleh paderi-paderi biara Blessings of St. Antonio, Texas, Amerika Syarikat sekitar tahun 1974 dan 1975 bagi tujuan mengelirukan umat Islam. Penyebaran surat tersebut dianggap khurafat dan dikhuatiri boleh gugur syahadah atau pun murtad. Antara bentuk mesej berantai yang disebarkan adalah ia diakhiri dengan amaran-amaran yang menakutkan orang ramai dengan mengatakan bahawa mereka yang menerima mesej tersebut dan tidak mengirimkannya kembali kepada orang lain akan ditimpa bencana. Selain menimbulkan kekeliruan dan panik, mesej tersebut juga boleh menyebabkan syirik kecil dengan lebih mempercayai kekuasaan kandungan mesej berbanding dengan kuasa Yang Maha Esa. Media sosial yang antara ciri-cirinya terbuka, murah, mudah dan pantas membolehkan mesej berantai seperti wasiat penjaga makam tersebut disebarkan dengan lebih meluas. Kebanyakan pengguna dilihat lebih suka menyebarkan mesej berantai tersebut tanpa memahami dan membaca isi kandungannya terlebih dahulu. Apatah lagi untuk mengkaji kesahihan dan sumbernya. Lebih membimbangkan apabila kajian yang dilakukan oleh universiti tempatan mendapati bawah generasi belia pada hari ini lebih cenderung mempercayai sumber daripada Internet dan rakan. Baru-baru ini, penyebaran pelbagai fitnah dan khabar angin kembali berleluasa di Facebook dan Whatsapp dan sebagainya. Antara maklumat yang tersebar seperti situasi banjir, ancaman tsunami dan sebagainya. P/s banyak sekarang ini, berbagai msj disebarkan dengan memetik ayat - ayat suci Al Quran.